Business processes have changed drastically in the recent past. We are living in an instant generation where everyone expects instant results, instant service, and even instant gratification. As a business person, you need to keep up with the changes otherwise you risk losing your market share to someone else who is constantly adapting to the changes. One such technological change is in receipting. The shift has already taken place from pre-printed duplicate or triplicate receipt books to the revolutionary Point of Sale paper rolls. This is a computerized system that instantly produces a receipt for the customers after a purchase. All you need is a computer, a thermal printer and thermal paper rolls. 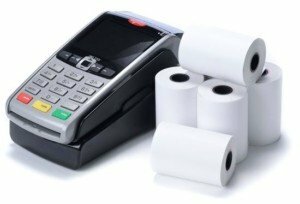 Today I want to highlight the advantages of using POS paper rolls in your business. POS paper rolls are very easy to use. Everything about them had you as a business owner in mind, the type of paper used, the manufacturing process and packaging once delivered. All you need to make use of these paper rolls is a computer and a thermal printer. Your computer or terminal has to be programmed with an operating system exclusive to you, connected to the printer and the paper roll inserted correctly you are ready to make your transactions. This system can be used by everyone after a very short training. When using a system, you eliminate chances of embezzlement. This is what I mean, traditional pre-printed receipt books opened up a loophole in billing customers. 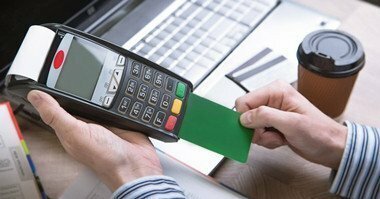 A rogue sales representative could easily acquire a separate receipt book, charge a customer higher than what should be charged. The customer will get the overstated receipt and the company gets the receipt with the correct price, leaving the sales representative with extra money at the expense of your business. Automating your POS system completely makes your operation transparent. There is no way a sales representative can print out two receipts and in any case, all sales are captured and stored in a database. At the end of the day, everyone is responsible for their sales accounts. As a business owner, the ability to track and verify all sales made ensures you reap the most from your business. Irrespective of the initial costs that may come with such a system, it is wise to invest for the long term streamlining of your business operations. Paper roll size – there are several sizes of paper roll that you can use from the smallest of 32mm to the largest 80mm. Your size choice depends on your use. For example, the 80mm paper roll will be suitable for a supermarket because a lot of information needs to fit into it. The sizes are also standardized. Color – you can choose from a white, pink or canary colored paper roll. However, white colored paper rolls are commonly used across industries. Customization – your paper roll can be branded to stand out in the market. This customization is done from the factory, so when you receive your consignment it’s ready for use. A branded receipt also serves as an advertising tool, after a shopping spree it’s a must for you to look through each item in the receipt, as you do this your eyes will also see everything else in there. Carbonization – you can choose a carbonless or carbonized paper roll. A carbonized paper roll means you will be left with a copy of the transaction. Again your preference is based on your business type. We have looked at some of the advantages of using POS paper rolls that is ease of use, for transparency purposes and variety of choice. Can this work for me, you may ask? The answer is yes. POS paper rolls are used in a variety of industries like the grocery shops, supermarkets, wholesale and retail shops, banks, fast foods and restaurants among others. They are not only suitable for all businesses provided you are receiving payment from customers but also for businesses that have different point of sales across the country.